Merry Christmas to you! Happy birthday to my blog! It's now a saucy two years old. Don't people refer to this time as the Terrible Twos? Maybe I should start making all the posts overly punny and full of lame jokes. Hah. Anyhow, I can't let down my Test Kitchen trend now and today's recipe comes from using last week's ingredient which was brandy. 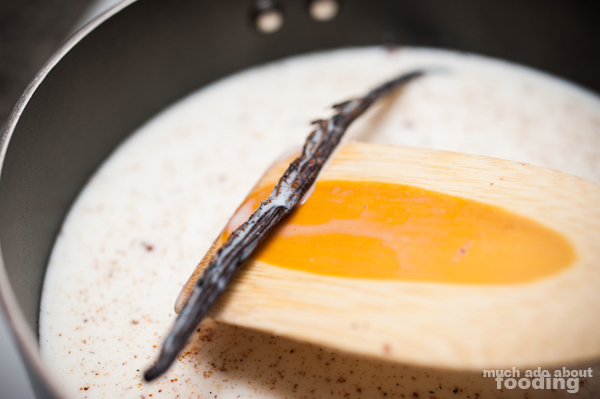 Duc and I worked with some from his coffers (he's working on building an Armagnac and Cognac collection) on our adjustment to the Sorted Food recipe for eggnog shakes. It's in the holiday spirit and oh so delicious. Give it a whirl yourself! 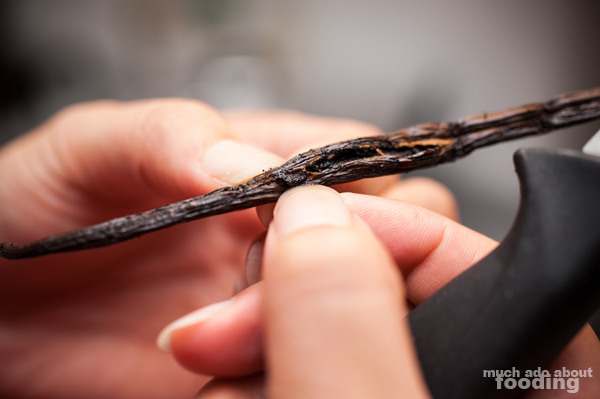 Using a sharp paring knife, slice into vanilla bean pod and scrape out into a saucepan. Add both pod and beans. Turn on medium-high heat. 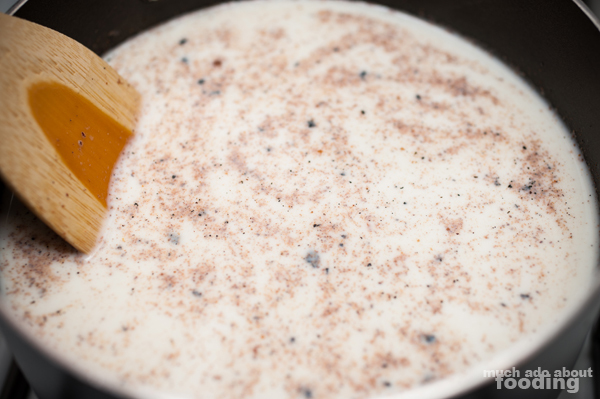 Add cinnamon, nutmeg, and milk. 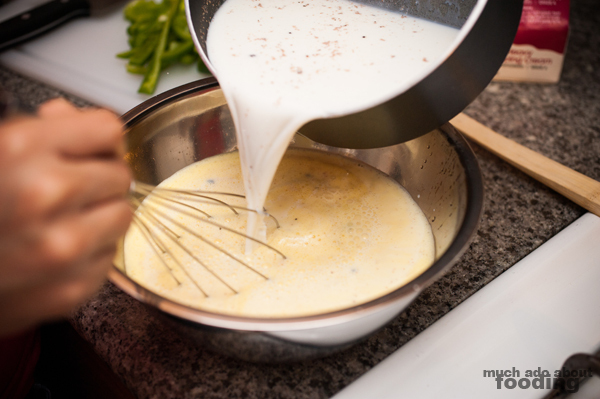 In a separate bowl, whisk together eggs and sugar until frothy. 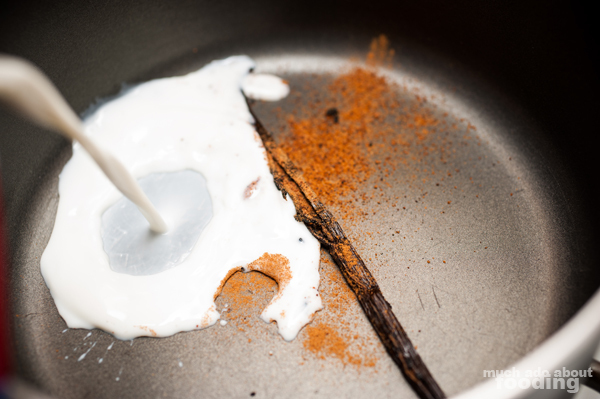 Stir saucepan frequently until the milk is hot. 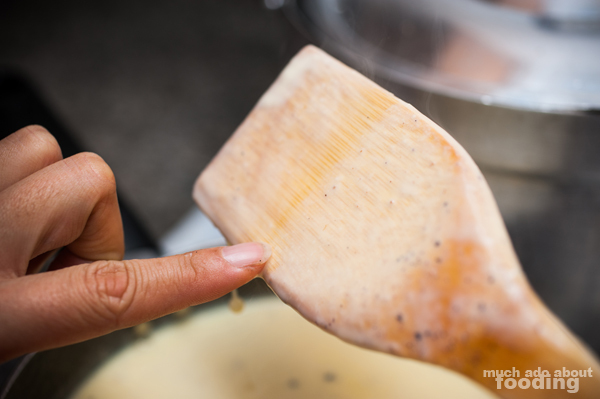 Remove from heat and pour slowly into egg mixture. 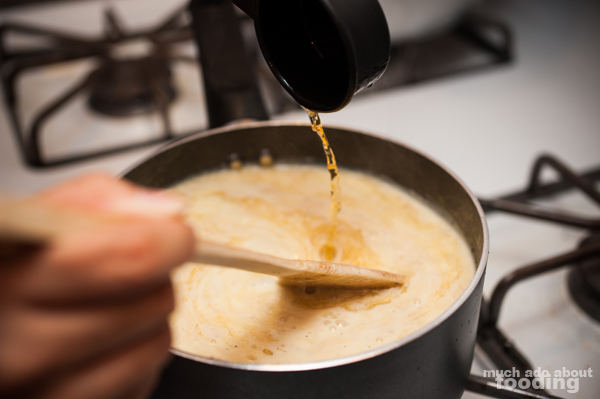 A slow pour and constant, but slow stirring will prevent eggs from cooking. When both have been thoroughly incorporated, pour back into saucepan, now on low heat. Keep stirring. 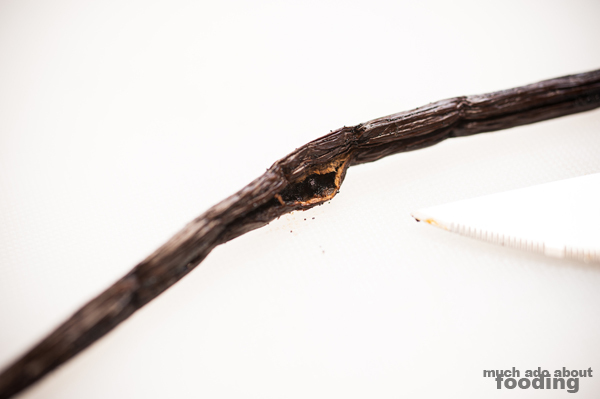 When the liquid is thick enough to coat your spoon and you can draw an apparent line through it (see picture), it is thick enough. 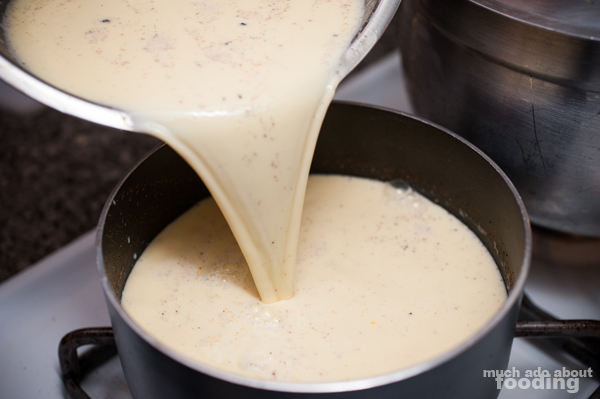 Remove from heat and let cool for about 1 minute before adding brandy and cream, remembering to continue stirring. Pour into a jug to chill in a refrigerator. 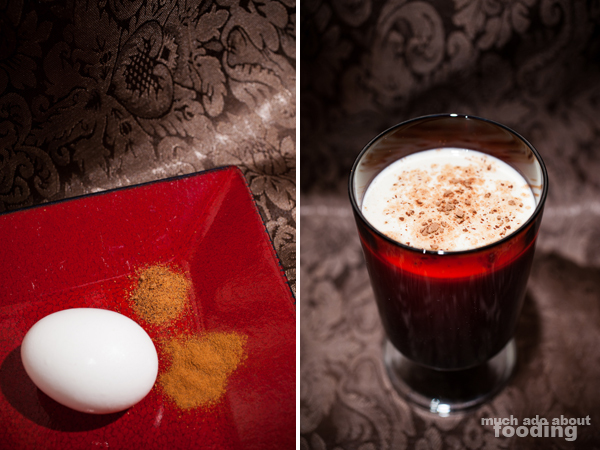 When ready to drink, serve in a tall glass and top with cocoa powder. 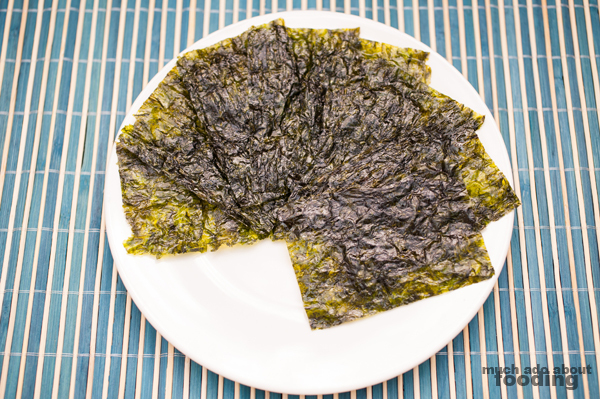 Tell me on Facebook what you'd like to see me do with the seaweed!